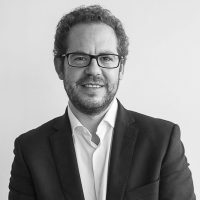 Damià Tormo has spent the last 12 years working in healthcare and the biopharmaceutical industry and has focused on life science venture capital investing and company formation since 2010, where he focuses on private company investments in the biopharmaceutical, life science and medical technology sectors. Dr. Tormo started his career as a researcher in different institutions such as the Uniklinik Bonn, University of Michigan or the Spanish National Cancer Center (CNIO) where he got extensive scientific experience endorsed by scientific publications in prestigious journals (Nature Medicina, Cancer Cell…), scholarships and different awards in the biopharmaceutical field. Damia Tormo is also founder of several biotech and healthcare investment such as Biocapital Advisors, Artax Biopharma, Bioncotech Therapeutics, Restaura Biotech, Gentauris or Polymer Therapeutic Solutions. From 2010 to 2013 he was CEO of Bioncotech Therapeutics, a oncology clinical stage drug development company. From 2013 he is CEO of Artax Biopharma, a clinical stage autoimmune drug development pharmaceutical company in Cambridge, MA. He has been awarded important prizes related to innovation and entrepreneurship, including TR35 2011 from MIT or the Biogen Foundation award. Dr. Tormo currently serves on the boards of the following companies: Artax Biopharma, Bioncotech Therapeutics (Chairman), Polymer Therapeutic Solutions and Nubesis. Dr. Tormo received a BSc from the University of Valencia (Spain) and a MSc from the FHS Bonn-Rieg-Sieg (Germany) in Biological Sciences and a PhD in Immunology and Molecular Genetics from the Rheinische Friedrich-Wilhelms-Universität Bonn, (Germany). Dr. Tormo also holds a master’s degree in biotechnology management (MBM) from IE Business School.